A former emergency medical technician (EMT) is using their training to educate the Bellingham community on first aid and disaster preparedness. A new addition to the team, AmeriCorps member Prentiss Andrews, has taken the role of disaster preparedness coordinator for the Bellingham Red Cross office. He’s also a disaster action team (DAT) volunteer, who respond to disasters like home fires 24/7, and is working toward his certification to be a Red Cross volunteer CPR instructor. 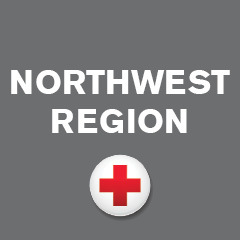 Andrews received his undergraduate degree in geology from Western Washington University in Bellingham, and said the Red Cross is a good fit. In addition to being an EMT, Andrews was previously a Washington river guide and worked in energy development. Andrews may pursue a career as a physicians assistant after the Red Cross. He hasn’t decided on a school or specialty, but his medical career may stay related to disaster response. In addition to the personal interest in disaster education, Andrews enjoys working for the Red Cross. “Being able to work at a nonprofit helps me in a number of ways,” Andrews said. To date, he has taught approximately 850 children and adults. The classes cover a range of topics, from children learning how to tie a sling to adults learning how to live without plumbing and electricity. He is also building relationships with the university and school district to educate as many students as possible. Andrews is serving with the Red Cross until mid-July, but he doesn’t expect his work with the Red Cross of his community to end there.